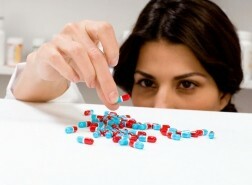 most likely will be prescribed in combination, according to GlobalData, a research and consulting firm. Sales of the drugs in the United States and Europe could reach $551 million by 2023, according to Abhilok Garg, Ph.D., GlobalData’s analyst covering Immunology. Research presented at the recent United European Gastroenterology Week in Vienna, Austria, revealed that Alba/Teva’s larazotide acetate and Alvine/AbbVie’s latiglutenase appear to be gaining equal footing in the race to enter the celiac disease market, according to Garg. More on the GlobalData report is available here.